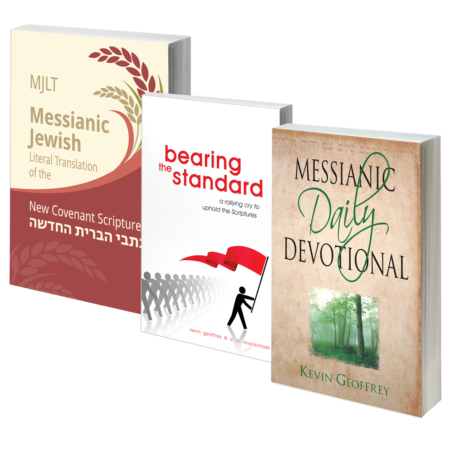 Presented from a distinctly Messianic Jewish perspective, the Messianic Daily Devotional is a collection of devotional writings unlike any you have ever read before. 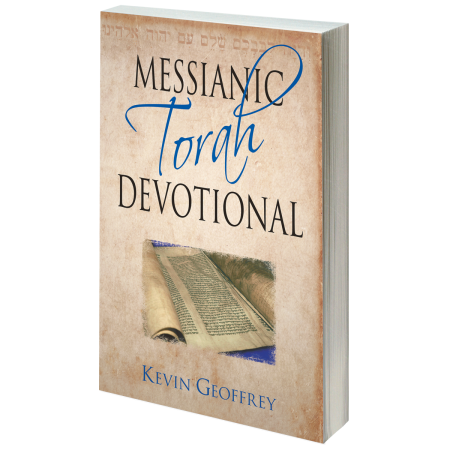 With selections ranging from gentle encouragement to inspiring exhortation, this unique and uplifting volume is an excellent tool for personal growth and discipleship in the Messiah Yeshua. 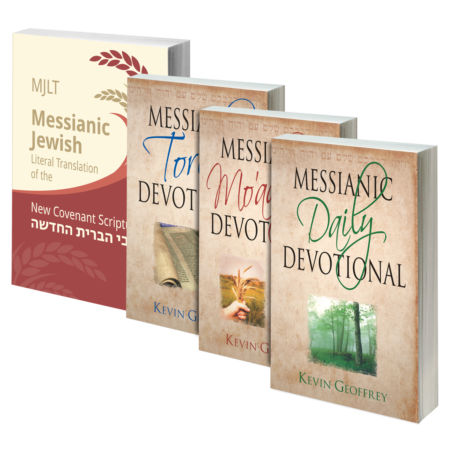 Join Messianic Jewish teacher and author Kevin Geoffrey on the journey toward becoming effective disciples of the Master by developing a life-transforming, daily discipline of devotion. 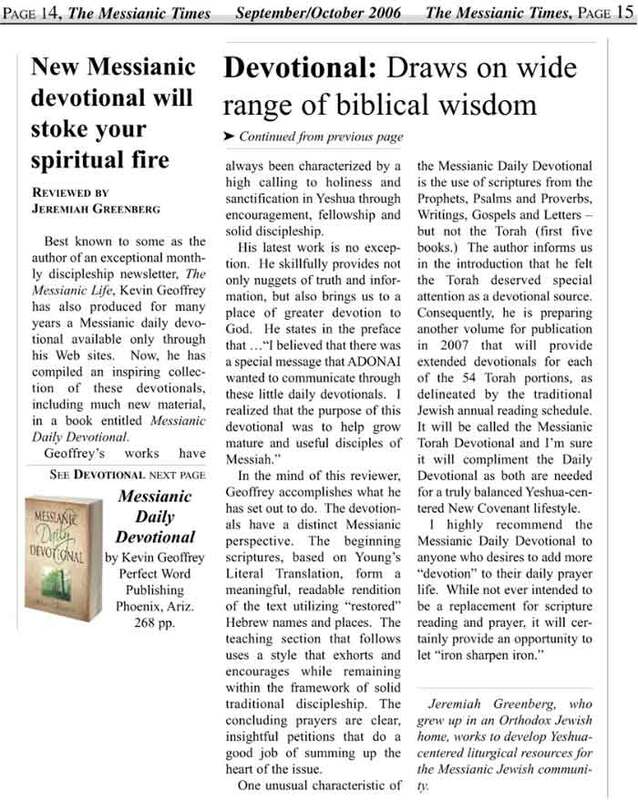 Click here to read the review from The Messianic Times newspaper! I cannot begin to tell you what a blessing this is. 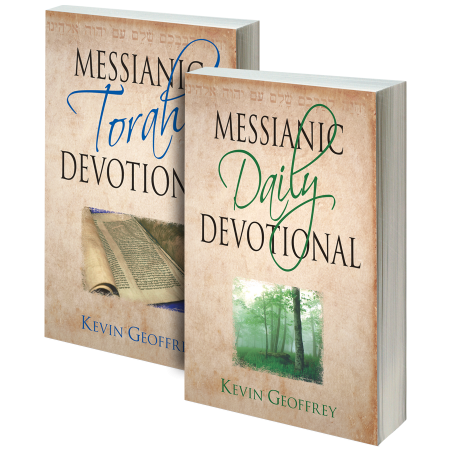 I now have a deeper and more intimate walk with Yeshua as I have prayed long and hard for a Messianic Devotional. This is absolutely perfect. I pray that our Father will bless Mr. Geoffrey to do more because they truly make you think. Let’s just say that you cannot afford to be without one. They would make an awesome gift for someone you really care about and love. Bearing fruit is the encouragement of this devotional. Kevin has been given a unique gift from YHWH to encourage the saints! The simplistic way Kevin drives home a point of scriputure in ways I have been taught or a different and deeper perspective on a passage of Scripture already memorized, keeps us being fed on a daily basis. Thank you for sharing the insights the Almighty has given you. Messianic daily devotional is an excellent resource for daily study — it helps me get my day started with the right focus on my belief in Yeshua in a Messianic perspective…thanks for making this available! How absolutely wonderful!!! 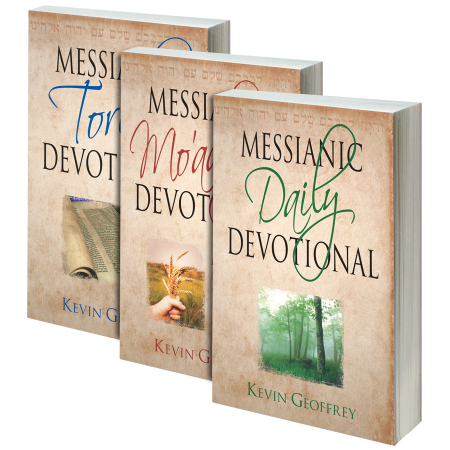 Kevin tells us not to forget the Scriptures, consider ways to extend your devotional time.Well that is what happened for me. I found myself using what i had read to dig even deeper into the scriptures. My focus for the day changed – what a Blessing!! You can actually feel the renewing of your mind taking place. I was constantly being drawn back, through out the day, to what i had read and studied that morning. What Freedom!!!! Thanks Kevin!!! Blessings to you. This is the first devotional I have read that really challenges me to critically look at my attitudes and behaviors and to humbly ask forgiveness from our gracious Lord where I have sinned and fallen short. Thank you for having the courage to speak and write what Adonai would have you say. I read the devotional every morning and have been so blessed. It seems to be just what I need for that day. I love the richness of the Hebraic insite. I ordered 10 copies and gave them to my friends. I just received it and I am enjoying it immensely. It offers encouragement as well as challenges me to live a life daily devoted to Elohim. It speaks to the desires of my heart and spirit in a way that no other devotional ever has. I would highly recommend it to anyone that wants to grow in their faith. Thank you, Kevin, for an excellent book and I look forward to reading more of your devotionals. May Elohim continue to pour out His blessings and love on you and your family and this ministry. I love this book. It is not just an inspiration, but it also encourages a person. It is a book that teaches what many other do not “the fact that our forcus should alway be on the almighty.” How we are to put in practice all his teaching which are many. This is a Wonderful book which I would like to see everyone have in their hands. I faithfully read this devotional every day of the year. Even though I am not Jewish by birth, it keeps me aware of my Jewish roots by faith in Yeshua. The daily devotionals are very rich and thought-provoking. I have been greatly enriched by this book. The Lord has given Kevin Geoffrey an anointed ministry in sharing important insights from His Word in the Messianic Daily Devotional. Kevin skilfully uses the Scripture “for doctrine, for reproof, for correction, for instruction in righteousness,” that followers of Adonai may be “complete, thoroughly equipped for every good work.” (II Tim. 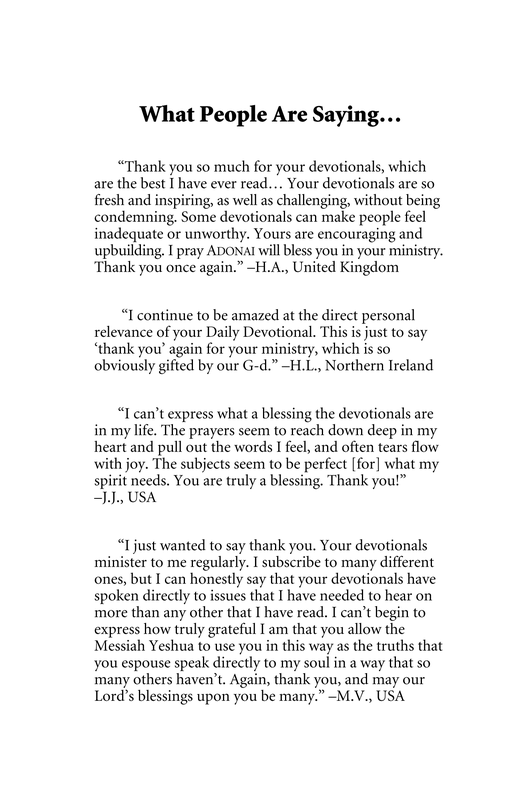 3:16, 17) I have been exceedingly blessed and wisely exhorted by the Messianic Daily Devotional readings. 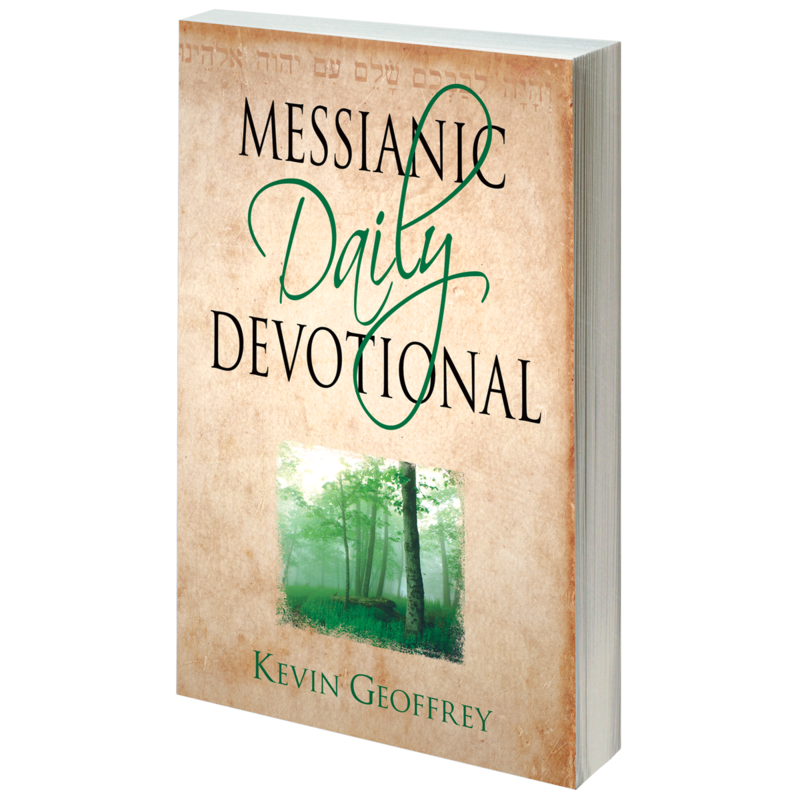 I have been using the Messianic Daily Devotional since it first was published. I have found it to be a vital resource in my daily walk as a Jewish Believer. 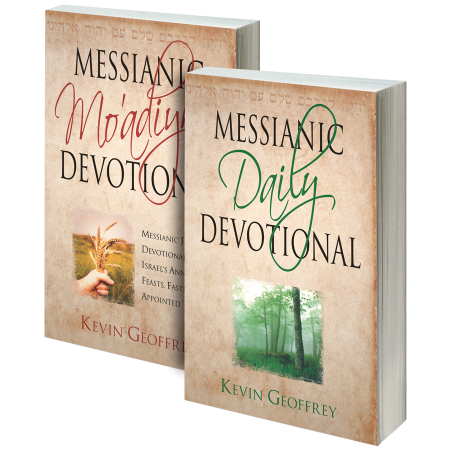 There are many devotionals out there, but few keep us grounded in the Messianic Walk every day. I highly recommend this devotional. Words can’t even begin to express how this devotional has touched the lives of our family. The daily messages go to your soul, and you know that Kevin and his family have most definitely been anointed for this work. We bought 10 extra copies and have allowed The Almighty to guide us to where there are needed most, for we know that it will be as much of a blessing to them as it has been for us. This book is a MUST HAVE for the serious student of not only the Word, but of your relationship to the Creator of all things and His Son, Yeshua. This devotional is not ear candy like many devotionals I have read before. There are no catchy phrases or one-liners, but serious reflections and gut-checks of who you are in Yeshua, and where you stand in your relationship with Elohim. You will want extra copies of this book to hand out. 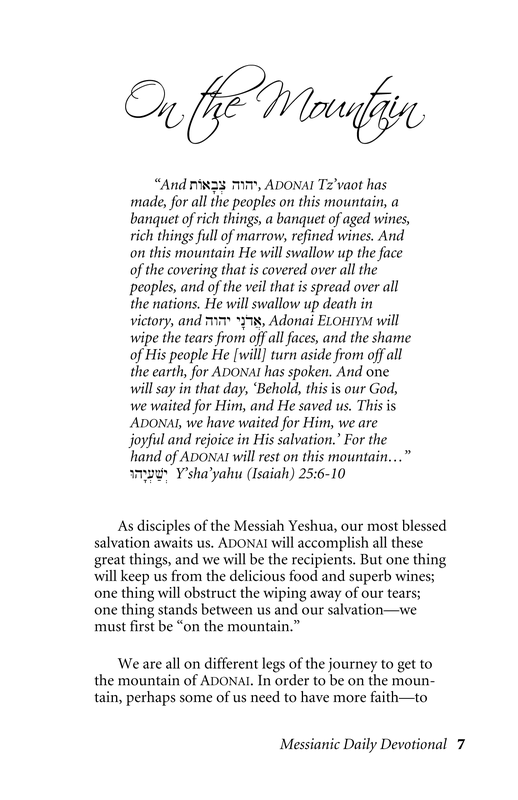 . . May YHVH Bless you and keep you as you spend time and devotion to Him!! This book came to me just at the right time and it has been such a blessing. 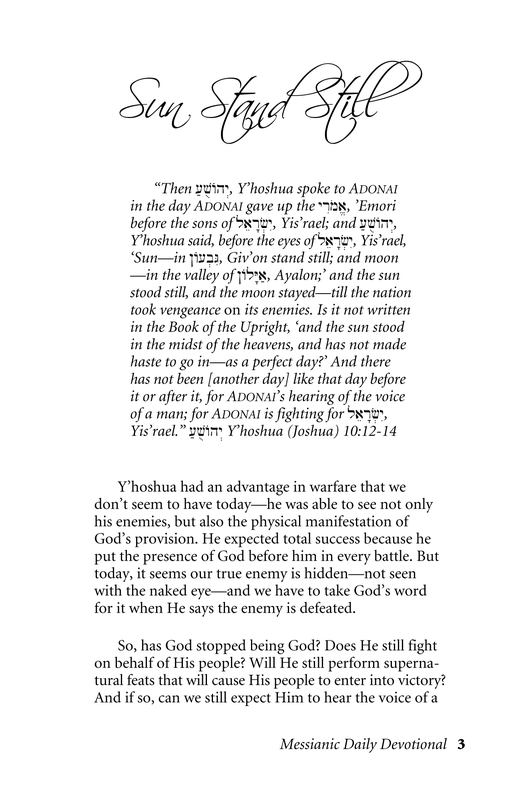 A devotional book from a Messianic perspective is what I had been praying for. I had received your newsletter in the mail. The odd thing is that I don’t remember requesting one and I don’t recall having ever heard of Perfect Word Ministries before! Kind of makes you go Hmmmmm! 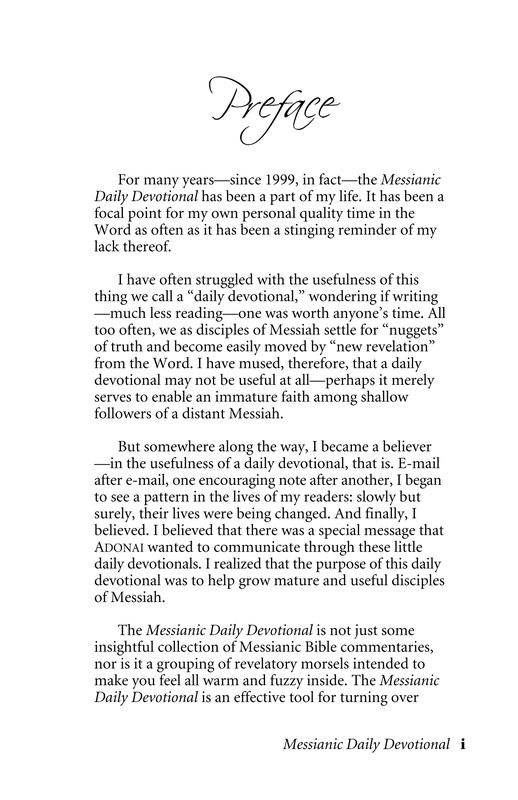 Well I didn’t go Hmmmmmm for long after I got my Messianic Daily Devotional book. There have been so many times that the Lord has spoken to me through the Scripture references and the commentaries. They fit so well with what I was going through at that particular time. My Hmmmmm changed to Ahhhhhh! and grateful and happy tears. Isn’t God wonderful? I just love HIM! Thank you for being such willing vessels and for heeding His call to form this ministry and to put out such helpful books. I have and will continue to recommend this book and your newsletter to others. 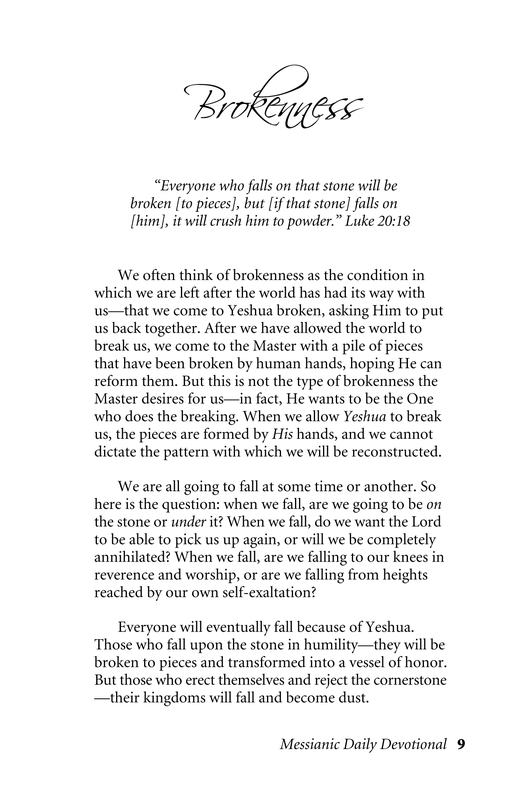 I have enjoyed this daily devotional. I especially like the Hebrew transliteration and Hebrew writing. I feel more in touch with the Old Testament. This is my 3rd year using this devotional. Each time, I use a different colored highlighter as new and different lessons are revealed to me. It has brought comfort, encouragement, provocation and more. I consider this devotional to be my most valuable biblical accessory. This book is an excellent resource for my daily walk with the Messiah. 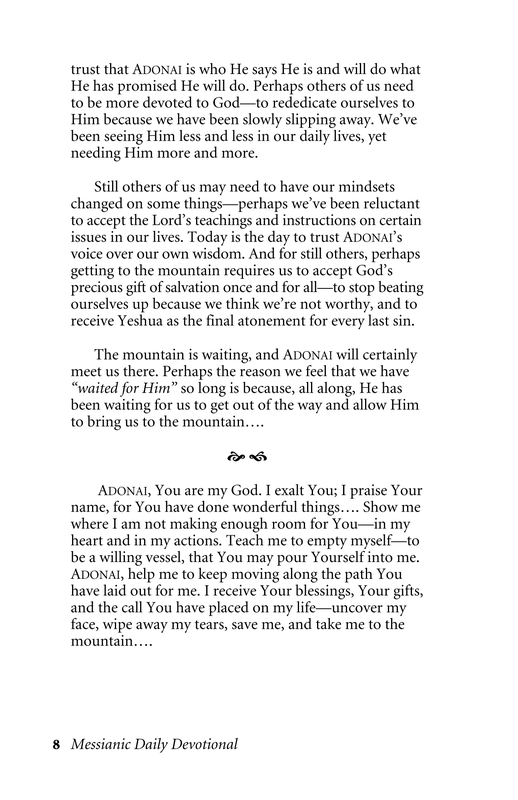 I love the teaching and the prayer at the end. I love this devotional book. I read, and reread it slowly again and again because it’s like eating honey to my lips. I am chewing this spiritual food because its taste is very delicious. I love how Kevin describes and reminds me how to be deeply in love with Adonai. It’s rare to have this kind of devotional guidance. Good work, Kevin! I am going to pass this email to the family/friends that I have given the book to. One friend said to me that the moment she read this devotional, it made her cry and cry. Binh Tran also loves your book and highly recommends it to friends and acquaintances. I have purchased at least 2 copies of this devotional (kept giving them away as gifts). [I have] read thru them over and over. Great messages!! This devotional impacted me to a degree that I bought another one and gave it to a friend. She now carries this “Daily Devotional” in her purse everywhere she goes. 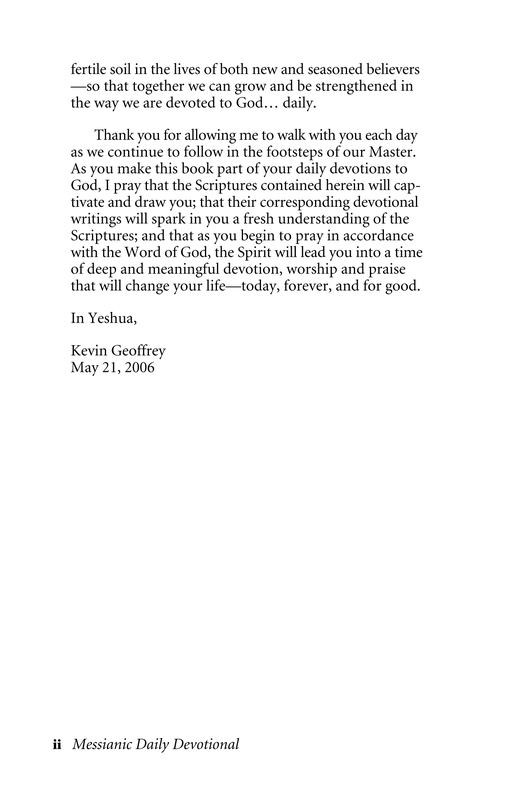 I love the way Kevin uses Hebrew terminology throughout the book and somehow it seems to bring me closer to my God. The prayer at the end of each day’s devotion gives such praise and reverence to the Lord that one cannot help but say Hallelujah! I really enjoy this devotional mainly because of the relating prayer at the end of each teaching. The Hebrew interpretation is a plus as well. There are so many devotions to last awhile. Thanks Kevin, great job! I interpreted “Daily Devotional” to mean there was a separate essay for each day. It isn’t like. 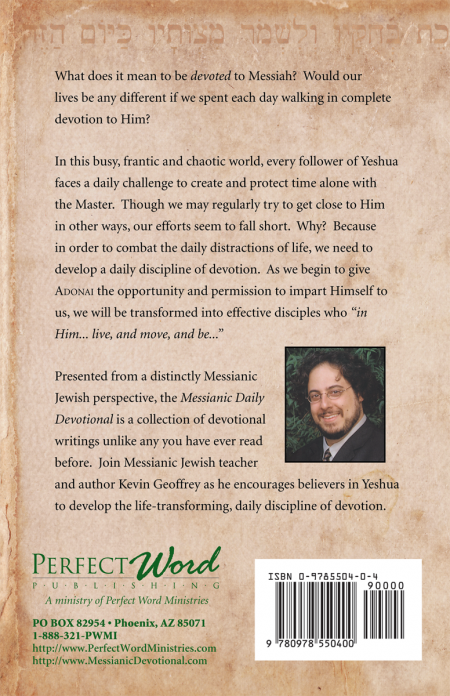 Rather disappointed – would like a daily devotional for Messianic Jews. 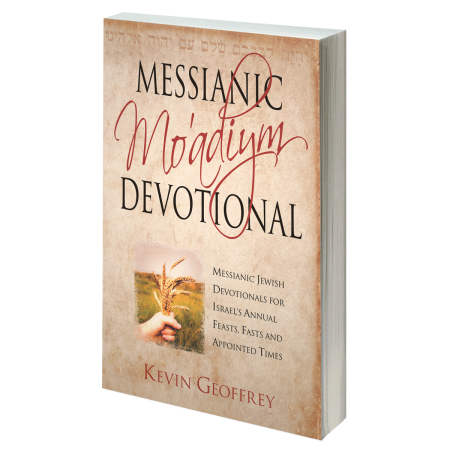 If you are in Messianic/Hebrew Roots you know there is a shocking lack of devotionals out there. 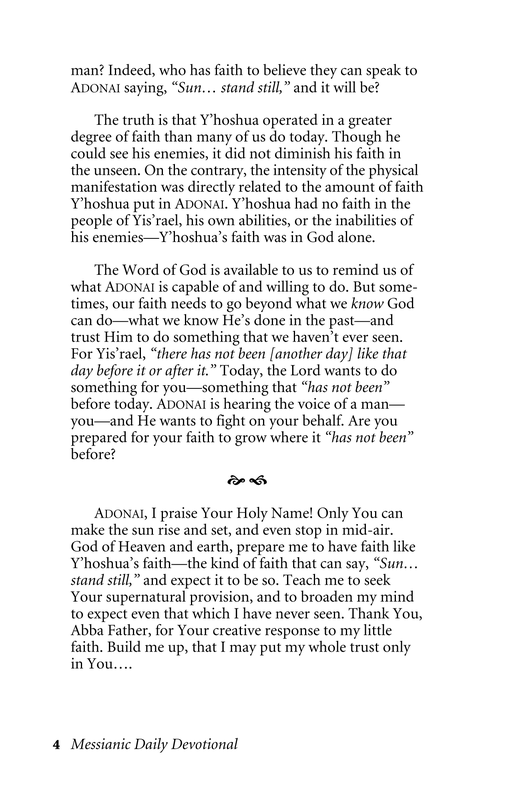 This is a great devotional. You can tell it is written by someone with a knowledge of Torah, but anybody could pick it up and be edified/motivated by it. It’s a perfect presentation of truth yet sensitive to people who might not be as far along in this walk as the author is. We love it and his other devotionals too.